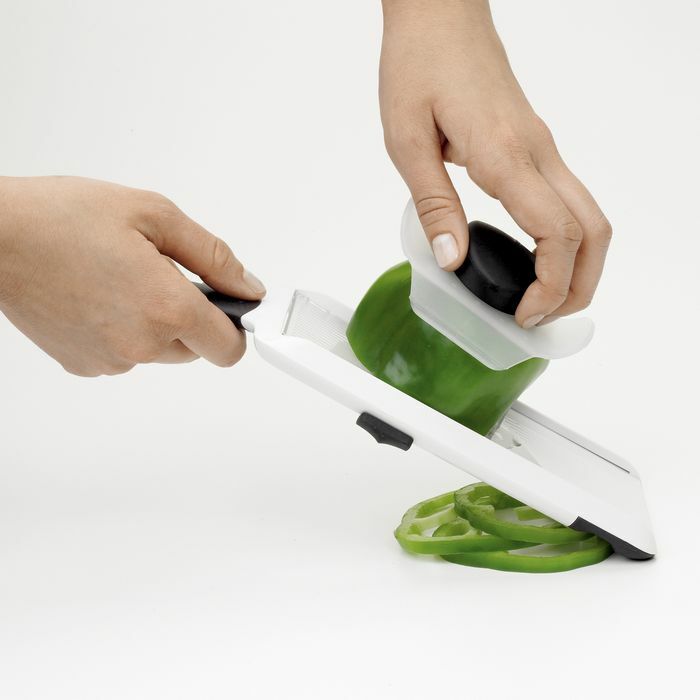 The hand-held mandoline makes slicing a simple swipe down the runway. 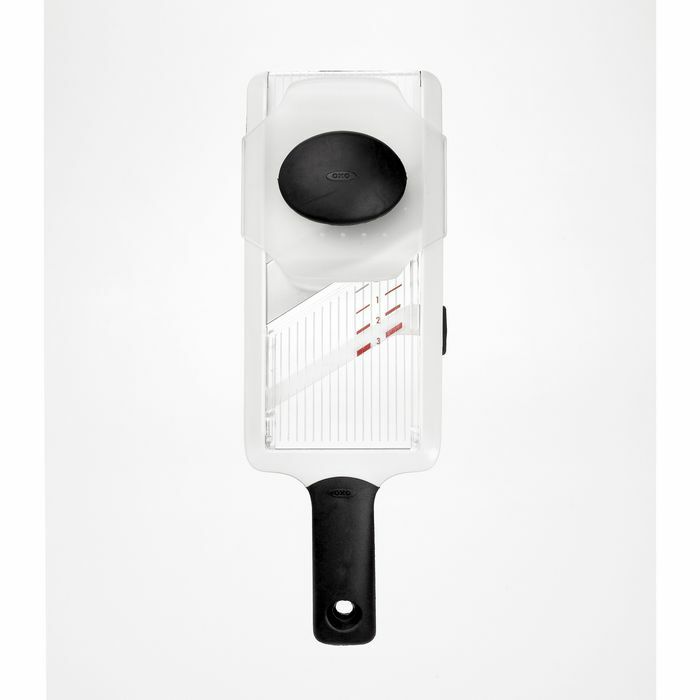 It fea-tures a window that shows slices accu-mulating below and a food holder that protects hands and covers the blades when not in use. 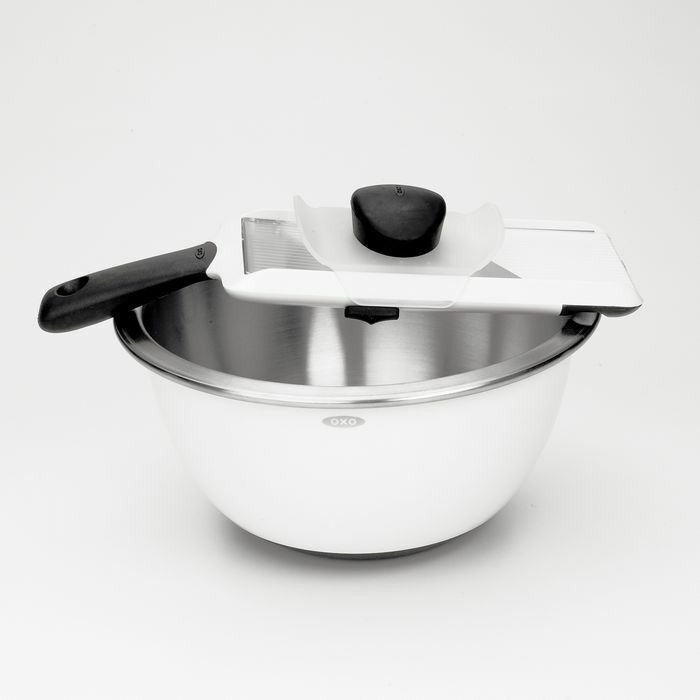 The soft feet can hook over a bowl for added convenience. 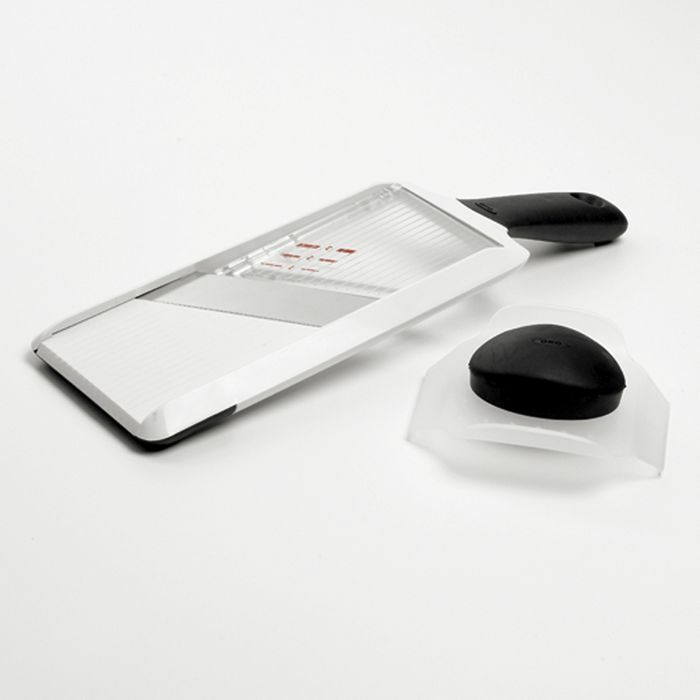 The Mandoline has a soft knob to easily adjust to the desired slice thickness. It's ideal for cucumber salads, apple tarts, and potato gratins.